Washing is the gravity dressing process used to treat ore that is cemented with clay or contains much mud. Mainly the process of separating materials by particle size. The whole process of iron ore washing is generally water immersion, rinsing and mechanical agitation, dissociating the cemented nuggets and separating them from the clay. Washing can be done as a stand-alone operation. For example, some hematite or brown iron ore with a severe slope or residual slope oxidation has very little iron-bearing minerals in the cement clay and is discarded as the final tailings after washing, and the obtained ore can be obtained. Applied as a final product. Iron or manganese ore with higher grades can be used directly for smelting by simply washing the slime. The most common application for washing is as a preparation before the sorting. In the treatment of iron ore, the coarse-grained ore-free waste rock is separated by the washing method, and the obtained fine-grained portion is further selected by deliming to reduce the amount of treated ore. Some ore containing more ore, pre-washing method to separate the slime from the ore, can avoid blocking the crusher, screening machine, and mining equipment in the operation. Some of ore’s primary slime and nuggets are very different in terms of selectivity (such as floatability, magnetic properties, etc.). After washing and separating the mud and sand, they can be processed separately to obtain better sorting indicators. Commonly used equipment in iron ore washing plants includes hydraulic washing screens, cylindrical washing machines, trough washing machines, Linear vibrating screen, and spiral classifier. The chute can also be used for washing. The hydraulic washing screen is a washing method which uses a water gun to rinse on a fixed strip screen and is used for washing difficult ore in China. The cylindrical washing machine includes a cylindrical sieve and a cylinder scrubber. The former has a higher rotational speed, and the inner wall of the sieve cylinder is provided with a longitudinal riser, an annular baffle, and a high-pressure water spray device to improve the braking ability and is used for easy washing ore. The latter cylinder is divided into two sections, the front section is non-porous, used to soak and disintegrate the ore, and the latter section has holes for the separation of mud and stone. 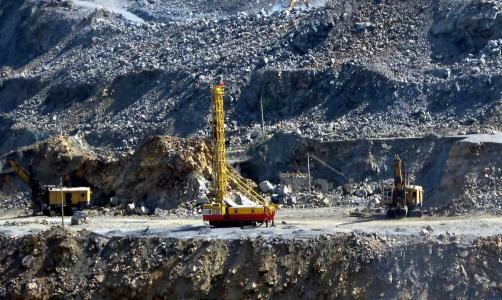 The ore is separated from the mud by hydraulic flushing or additional mechanical scrubbing. Suitable for washing equipment in iron ore washing plants: washing sieve, cylinder washing machine, and screw sand washing machine. 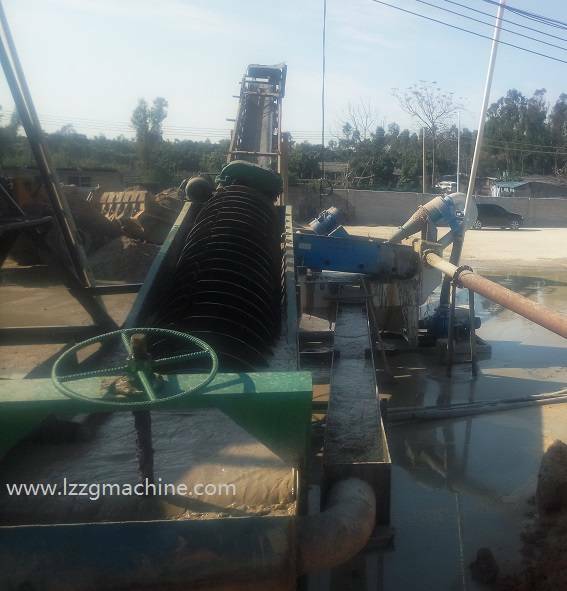 The washing operation is often accompanied by screening, such as direct flushing on the vibrating screen or the ore (net ore) obtained by the washing machine is sent to the vibrating sieve. Screening can be used as an independent operation to separate products of different sizes and grades for different purposes. Sediment separation – recovery and dehydration of solid particles in materials. Sediment separation – purification of tail water from previous operations. Solid waste dry discharge – dry discharge and dry heap treatment of solid waste in the tailwater. The processing capacity of iron ore washing plant can be 30~240m³/h.